Cable Working Tools for Cable Jointers. Insulated Tool Kits for Electrical Professionals. We are leading manufacturers and suppliers of Insulated Tool Kits for Electrical Professionals, which serves their purpose in entirety. 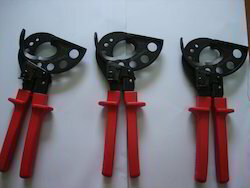 We provide these in a red tool case inclusive of engineer pliers, side cutters, telephone pliers, long round nosed pliers and a round cable cutter. It is a comprehensive kit. All tool handles comprise of an outer insulating layer and an inner insulating layer to prevent wear. Cable Pullers And Cable Assembly are designed to fulfill the pulling requirements. We are prominent suppliers of puller cable assembly. We offer cable assemblies that allow quick and easy functioning of the pullers. Our product line meets all the needs of an electrical contractor. 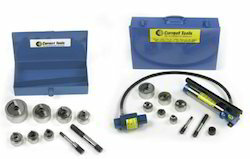 The cable assemblies enable a cable puller to generate power for use. Volume: 500 cubic inches per min. Looking for Electrical Tools for Professionals ?